Do you see the post reach in the picture above? *That* nearly caused this still half asleep girl to fall out of her chair. Seriously- that’s an all time high. I’m stoked about it- and motivated. How do I keep that number up there, and higher? What did I do right- or did Facebook finally cut me some slack?! One of my goals, both on my business page and within my business, is to create an engaging environment. I want to draw people in and encourage them to participate- through feedback, through content and inspiration. 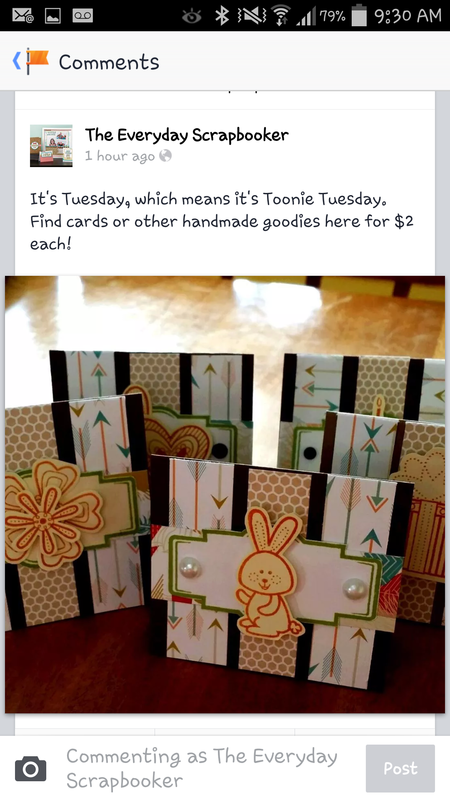 Toonie Tuesday and Feature Friday are (were) regular challenges, if you will, on my business page. I used both those to encourage sales and generate custom orders and/or inspiration to my fans and potential customers. I stopped doing them only because I find it hard to get to my computer nowadays; now that I’m able to schedule posts from my Android, it’ll be easier to get it done. Plus, I won’t be able to use forgetting as an excuse anymore! In addition to Toonie Tuesday and Feature Friday, I’m thinking about adding one- possibly more- crafty challenges per week. I’d like to hear what you think. 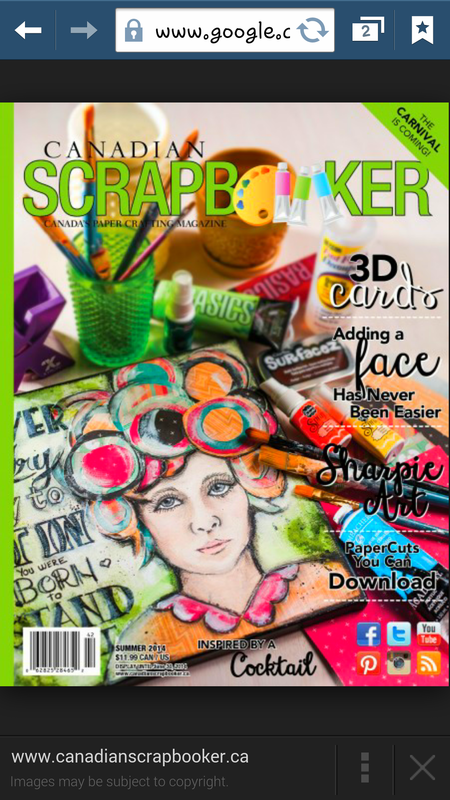 Would you be interested in a weekly craft/scrapbook challenge? 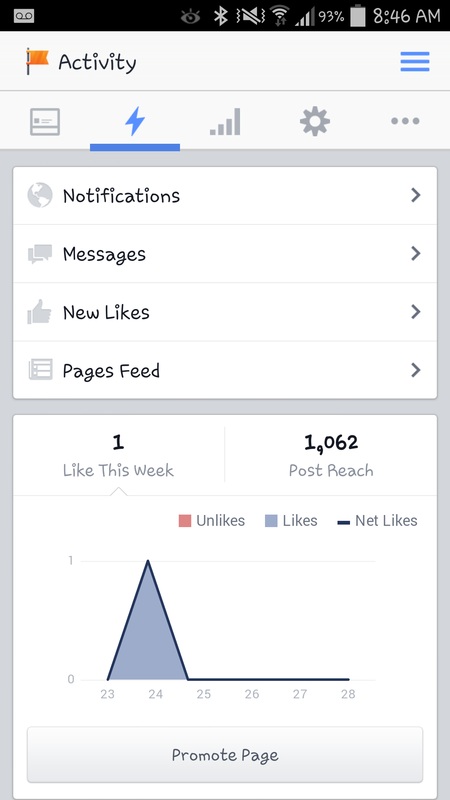 It seems to be warmly received via my Facebook page. Please let me know! If my readers and fans seem genuinely interested, I’ll add something like this in the near future! 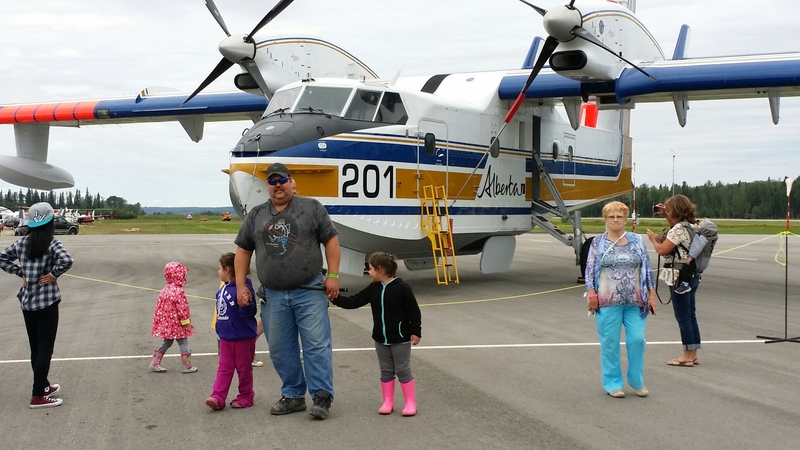 I don’t have any projects ready for you yet, so I thought that I’d share some pictures from the air show we went to on Saturday. 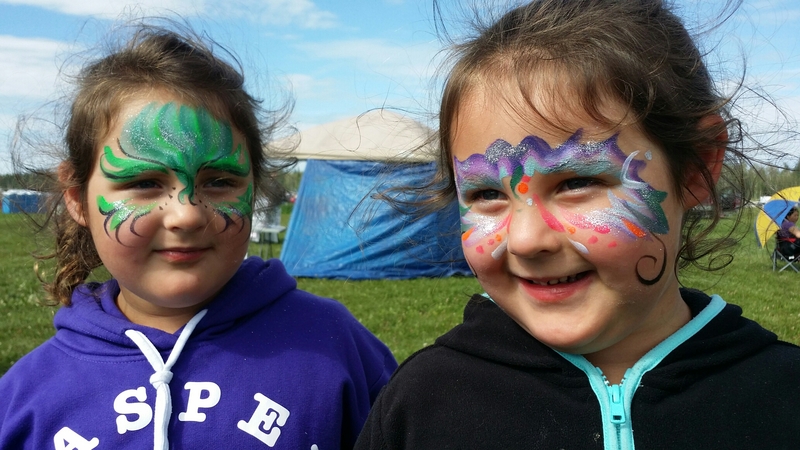 We weren’t quite sure what to expect, as far as our kids were concerned. Whether they enjoyed it or not was the million dollar question. The last time we went, the girls were still babes- 2 years old. The show happens every other year, so the girls had a year in between to grow and mature a bit more. I’m so relieved that they liked the show; they actually LOVED it! 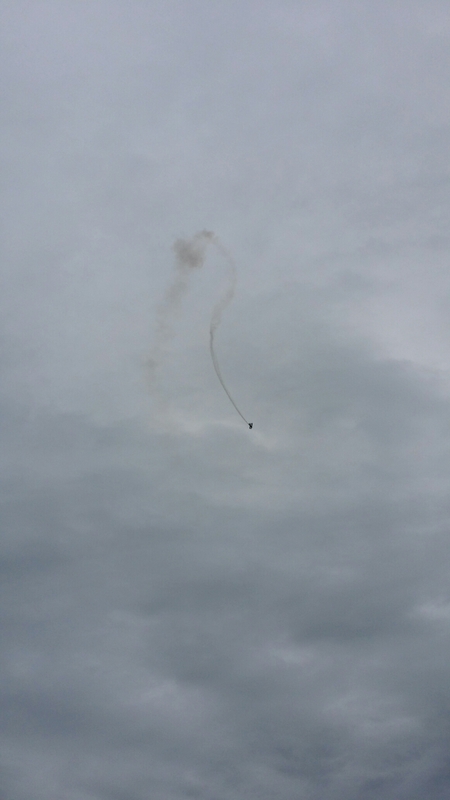 The first thing we saw while parking, were skydivers. That’s when the squealing began! We even stopped on the tarmac to watch for a few minutes. I love how chill Addison is in this picture! Maybe they set up their chairs because they were tired of carrying them; I like to think it was to watch the skydivers. (I’m certain that was mostly the issue, anyways. 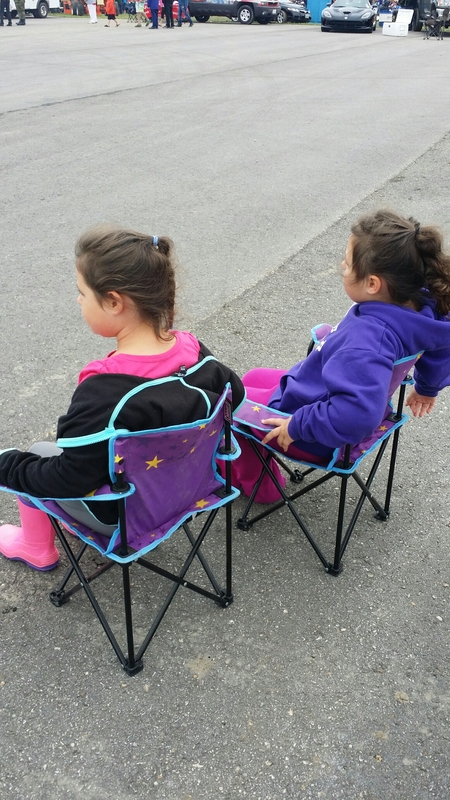 Not having to carry their chairs was just a bonus). The smoke from the planes while they did their aerial tricks was another showstopper for the girls- especially if they blew colorful smoke. For me, the precision and smoothness of each manouever was breathtakingly stunning. 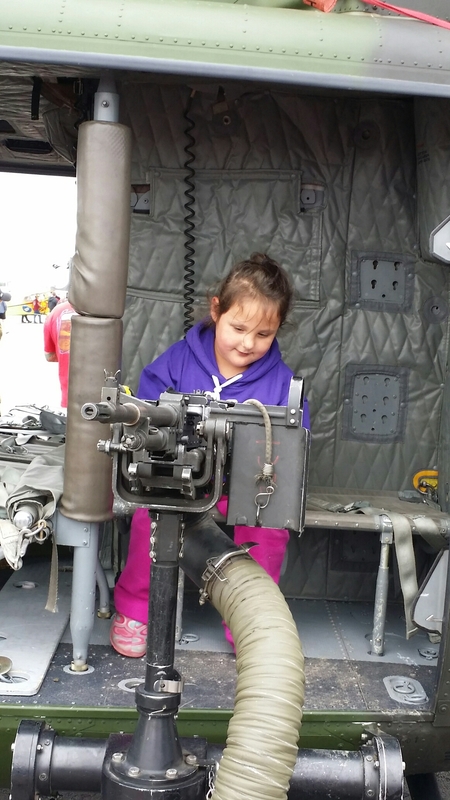 The girls thought this Griffon military helicopter was out of this world, especially the machine guns. Addison liked it so much, she wanted an inflatable gun later on. (We put the brakes on that idea). 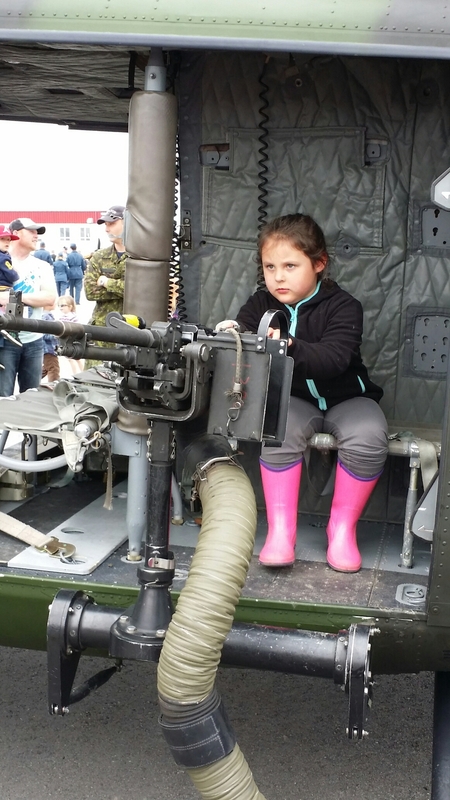 In the picture of Maren, the pilot was telling her to look mean while she played with the gun. She nailed it! So…Addison did get bored at one point, and wanted to play on her iPhone. 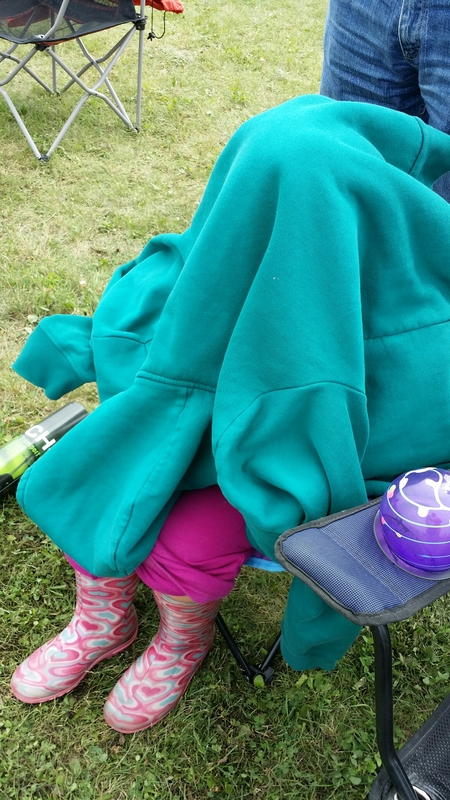 Since she couldn’t see the graphics on the screen, she put my sweater over her head. Problem solved! The snow birds are CF-18 fighter jet are my personal favourites. I didn’t get any pictures of it, but they included some pyrotechnics with the Hornets’ show- pretend bombs and machine gun shots going off. It was very, very cool. At this point in the show, we were inside the VIP tent, enjoying fresh fruit, cheese, buns, lunch meat, water…it’s nice having neighbors that work for the outfit that sponsored the entire event, who also kindly shared VIP access and tickets with us for the entire weekend. 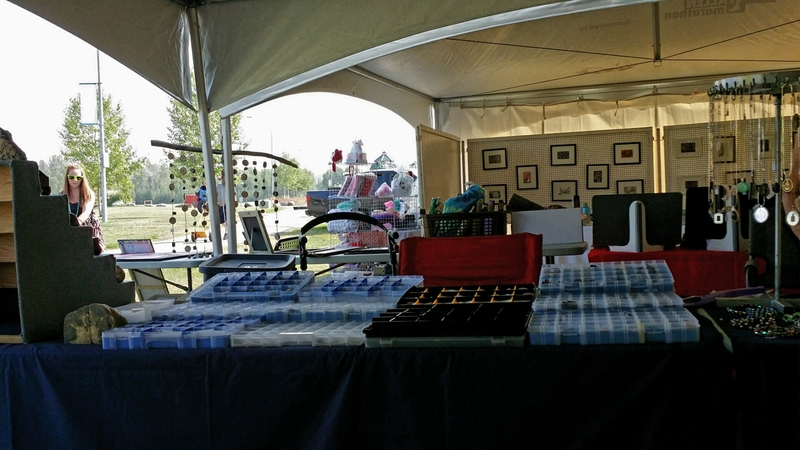 The only money we spent all weekend, was on souvenirs. It was a lucky and nice break! 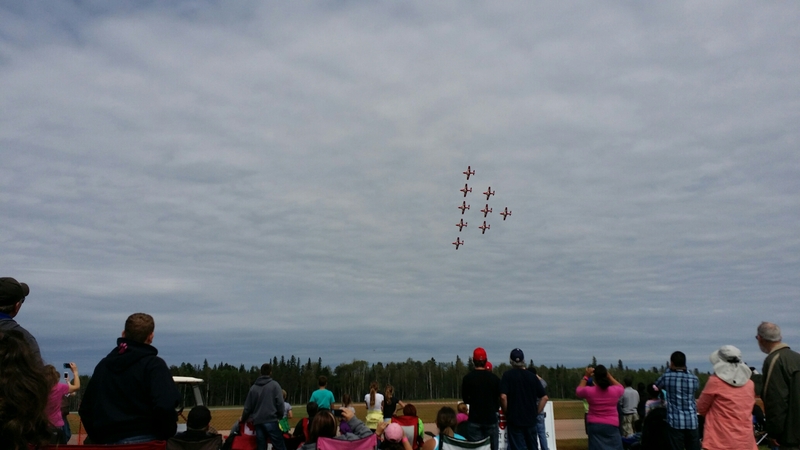 The snowbirds, well, they’re just regal and flawless. They sure are a lot of fun to watch. 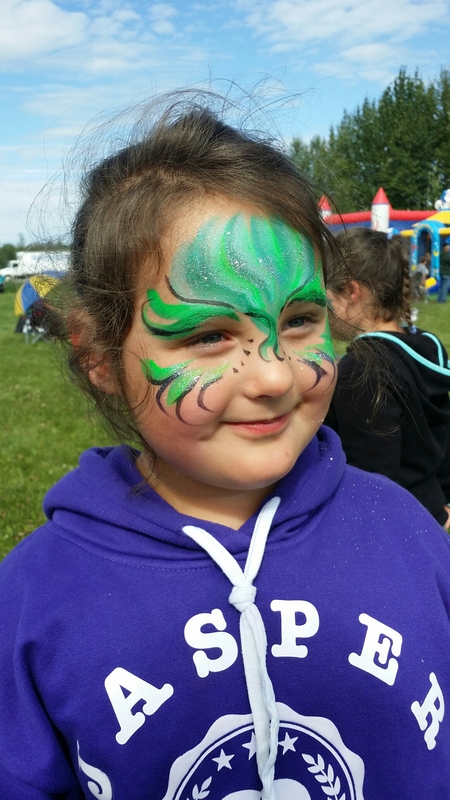 At the end of the day, we lot the kids burn off some energy in the bouncy houses that were also on – site, but not before we got our faces painted! Addison is a pretty peacock and Maren is Cinderella Princess. 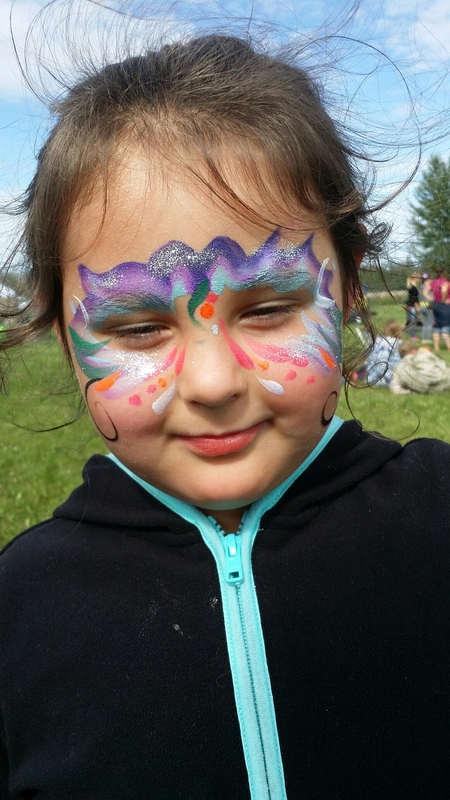 We had so much fun, I can’t wait for the next event! Today I’m stopping by with another layout that’s going in my Fernie album. 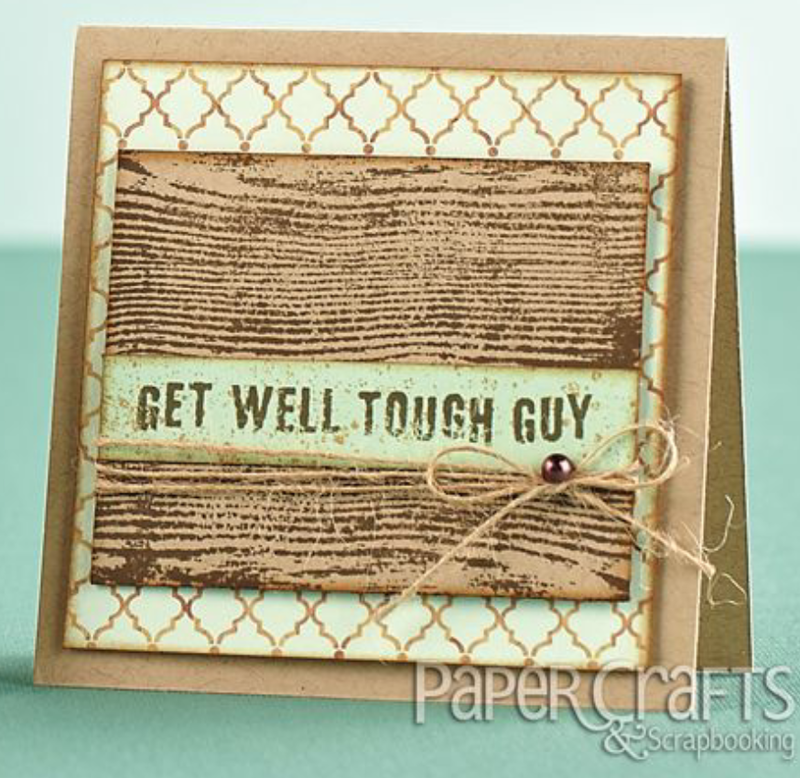 I used a mixture of Close to my Heart patterned papers and some dollar store embellishments and rub-ons. The embellishments are Sandy Lion, I believe. Once again, I used a Close to My Heart idea book to inspire this layout. The card is considerably smaller than I thought, but that’s ok! Now I want to try something bigger. Maybe I’ll even try something more complicated, or challenging. Sound like a plan? When I feel more comfortable in my ability and confidence to make these, I’ll certainly share my own tutorial. I’ve recently begun following my favourite blogs again, using Bloglovin’. When I made the switch to Weebly, which is where I blogged for the last year, I wasn’t able to save my favourite blogs through an RSS feed- or at least, I didn’t know how to add it to my blog. I severely lost touch, and it made me sad. Also, it didn’t jive with my mission- to create what I love and share it with the community at large, providing inspiration to my crafty fans and followers and items for purchase if they weren’t crafty at all (Shockingly, not everyone likes to make cards and scrapbooks!) Most importantly, my focus has shifted, slightly. Rather than focusing mainly on SELLING, I’ll try offering both inspiration and selling evenly. It’s a lot easier now, with things being much slower, to reevaluate and work out more of what my vision is. I’ve always had a passion for writing. I can safely say it’s another creative outlet for me, and it’s solely the only reason I blog. Of course, when I first started blogging, it was a way to get my frustrations off my chest and my dreams onto paper. 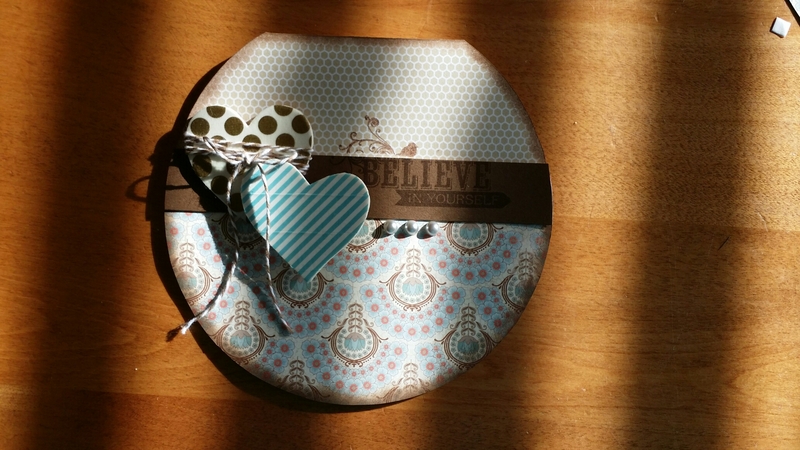 Over time, and after changing blogs multiple times- as well as changing the main objective of each successful blog numerous times- I’ve finally found my niche: anything and everything crafty, with a major emphasis on scrapbooking and card making. 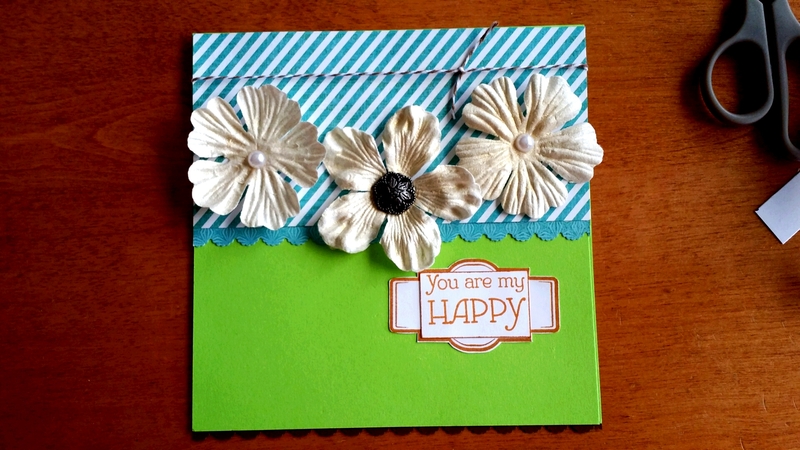 So…All that to say that while I read a friends blog recently, I was inspired to create a card. My friend (who I incidentally designed for while I served on her design team), has a daughter that lives with Cerebral Palsy. Now, as far as this disability goes, she’s rather lucky. She requires regular OT and PT, as well as daily aids, like a wheelchair (and I’m sure more, but I don’t know what those are). Aside from all of that, she can take care of most of her own care and needs on her own; she’s no different than a lot of other kids out there. She attended mainstream school until it was decided that herself and her siblings would be home schooled (for reasons unrelated to her disability). This beautiful young lady is having important surgery which will help improve her quality of life just a bit more. The bones in her legs are growing the wrong way, so they’re going to essentially break them and set them so they continue growing properly. (This is my paraphrased version of what my friend wrote in her blog). 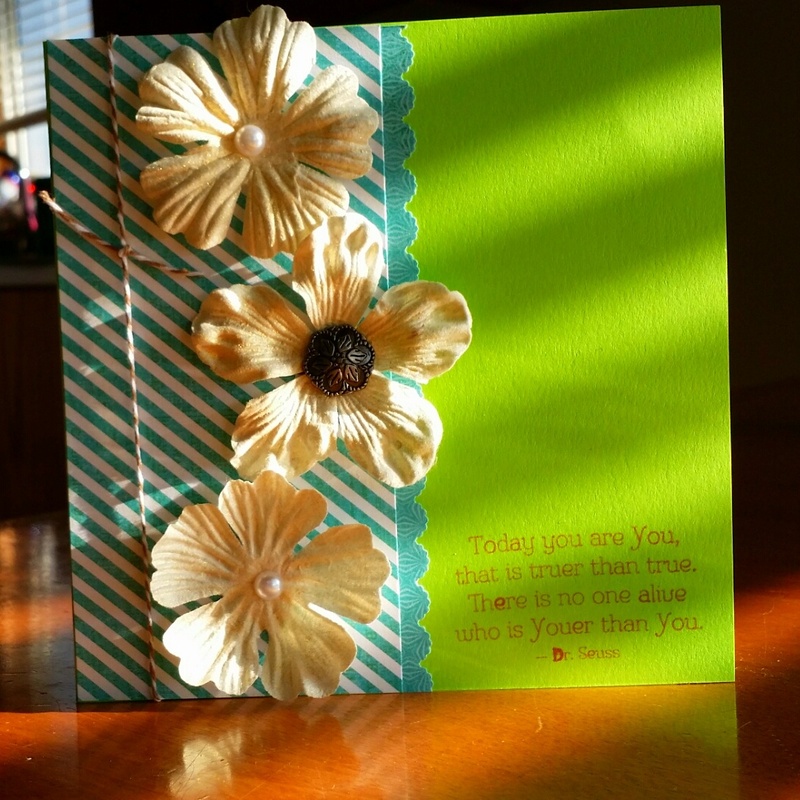 The card you saw pictured above is the card I made for her. 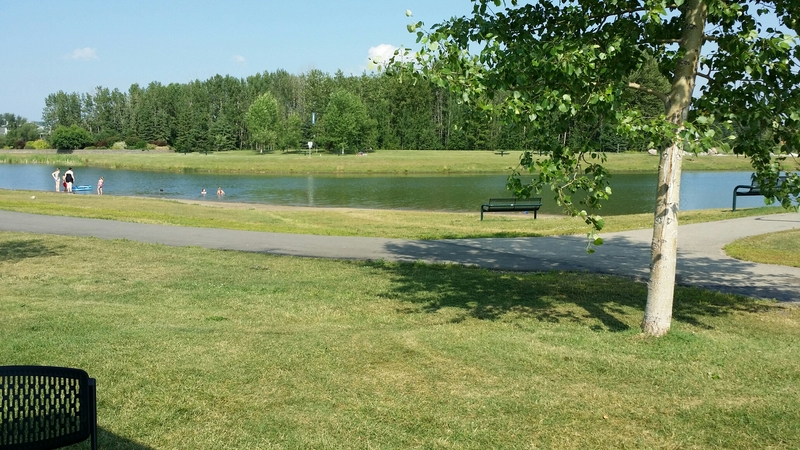 H had asked her friends and blog readers to send along a little sunshine to cheer J up after her surgery. She’s going to love getting fan mail! J’s surgery is at the end of the month, and since she lives over yonder in Louisiana, it’ll be dropped in the mail soon. I’m also sending some Canadian candy to help lift her spirits. What do you think she’d like best? It seems that this post is rather popular on my Facebook today, so I thought I’d share it here, too. 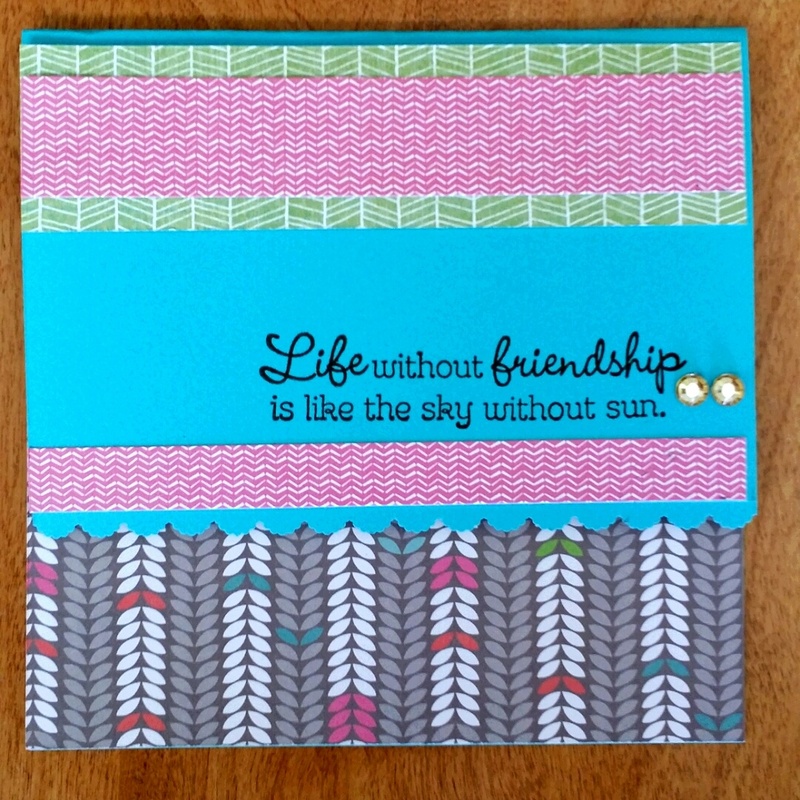 So, as you can plainly see, I rotated the card 90 degrees and added a punched border to the bottom. 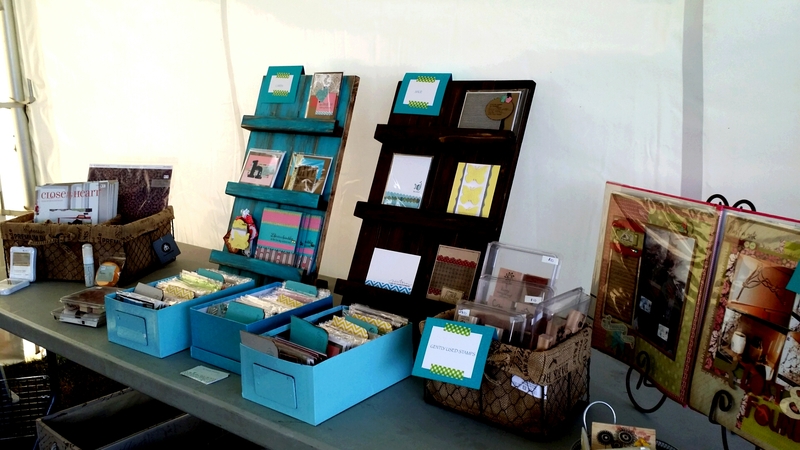 Yesterday at Arts in the Park, I spoke with a lady that is recently retired and interested in devoting more time to card making and scrapbooking. She was looking for specific theme ideas, such as moving and school. 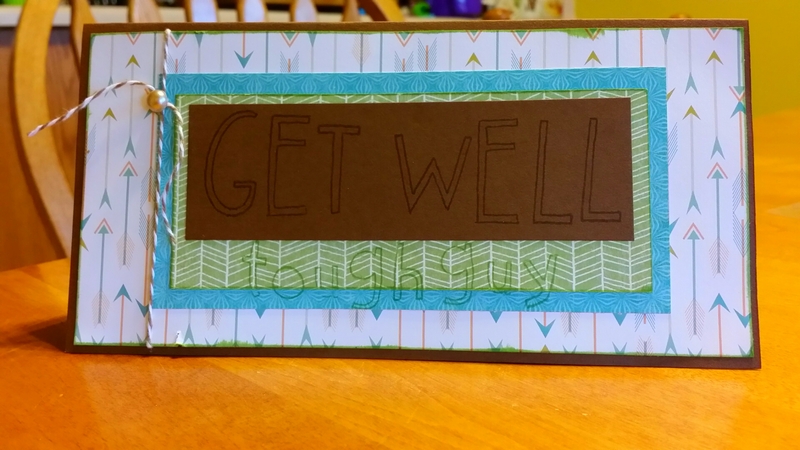 She wanted to be able to create a bunch of cards with all your typical everyday themes and keep them on hand for when any particular occasion would arise. The problem? She didn’t know where to start. Her main objective is inspiration. I think that’s a common objective for nearly everyone that creates. It is for me. Sometimes an idea comes by quickly and easily, and other times, we struggle to find inspiration of any kind. So, where do we go to find inspiration? 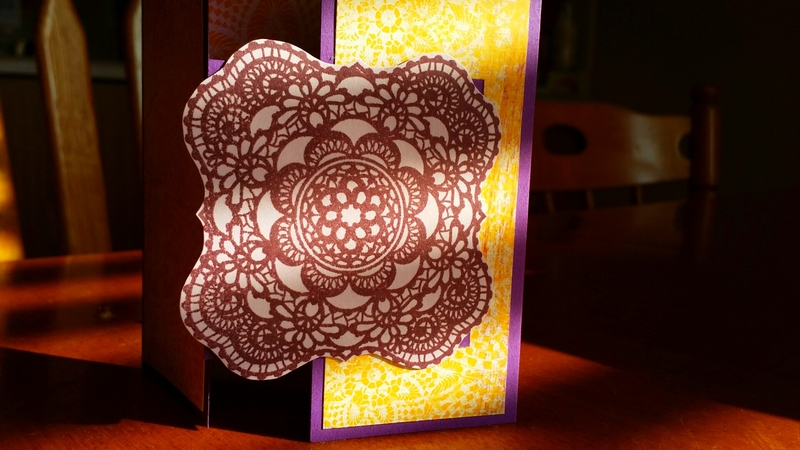 First, I came across this craft and create idea book in my Facebook news feed this morning. As some of you know, Carta Bella and Echo Park are two of my most favourite paper manufacturers. They teamed up and produced an idea book to help inspire us! The best part is its great for more than just layouts and cards! Even better, is its a FREE download. Get it while it’s hot! Just an FYI, I am making a list of people that are interested in our newest idea book, which is coming out on August 1. If you’re interested in getting one, please let me know, so I can add you to this list! I haven’t done so yet, but plan to order them once I know (roughly) how many of you are interested in getting one. 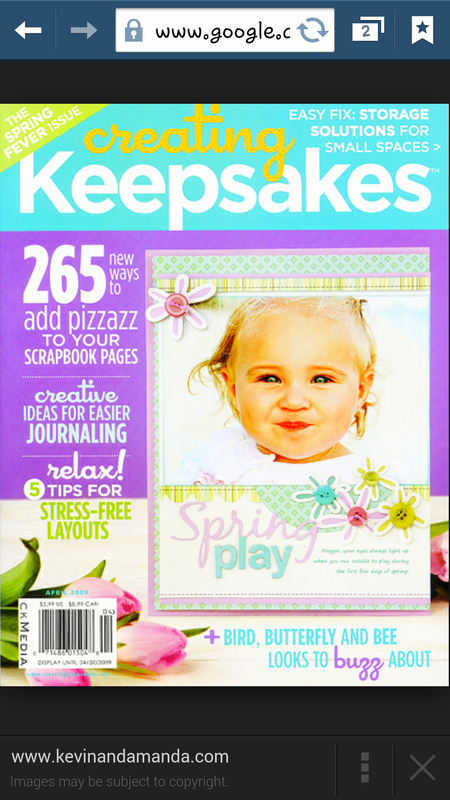 The next two images are my two favourite scrapbooking magazines: Canadian Scrapbooker and Creating Keepsakes. Both magazines feature sections within their publications that provide step by step instructions for completing certain projects, not to mention multitudes of color images of projects you could recreate without step by step instructions. They’re full to the brim with inspiration! 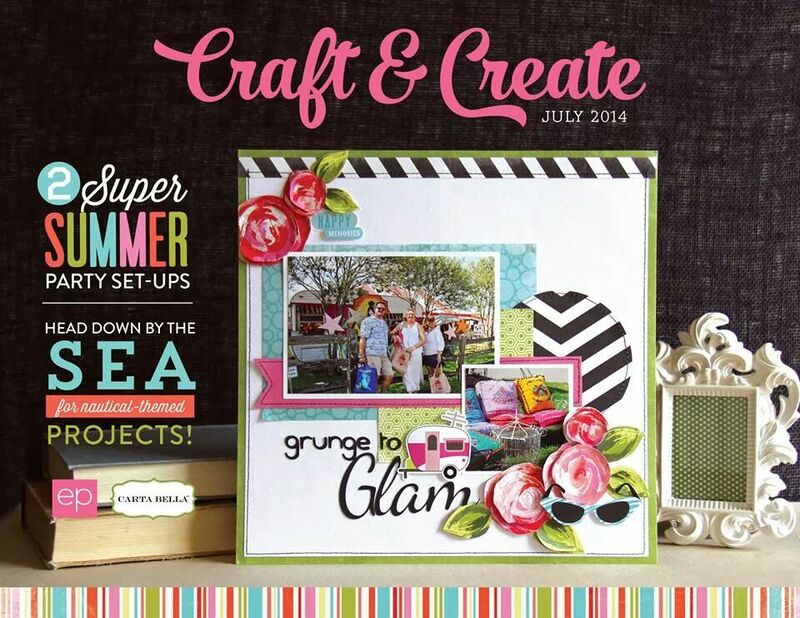 Canadian Scrapbooker takes it to the next level by challenging you to get involved. Kelly Klapstein’s Double the Fun challenge allows participants to interpret a two page layout sketch that she’s designed. 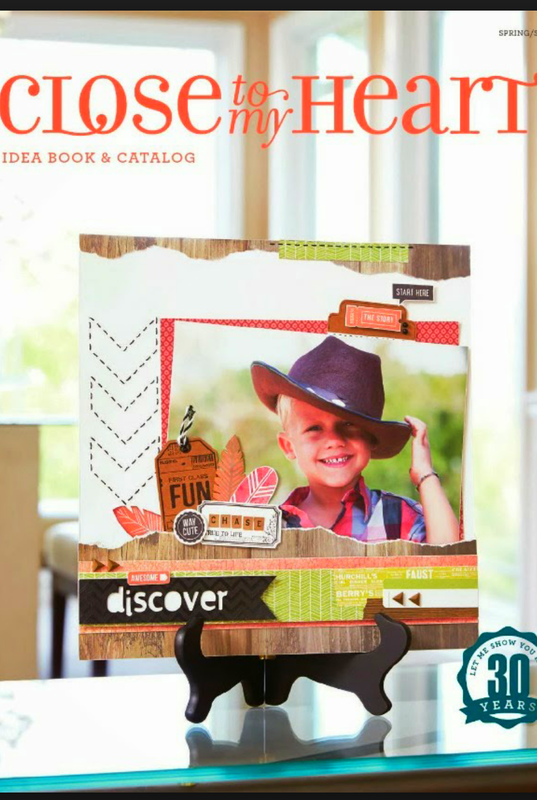 In addition, they also hold a monthly scrapbook sketch challenge. 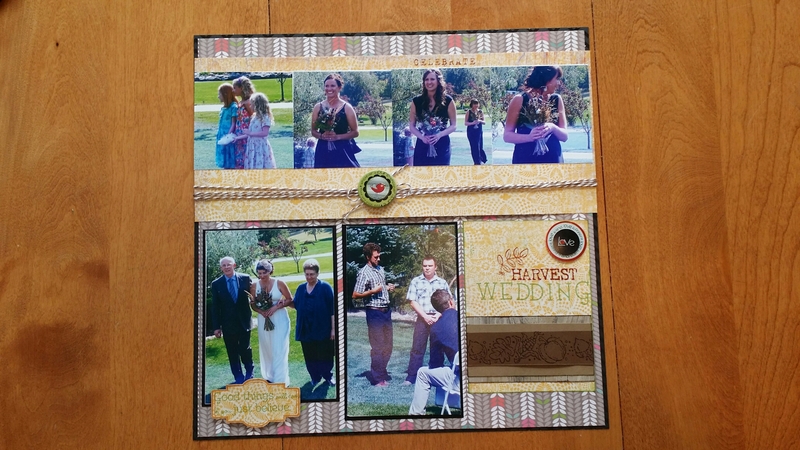 Both sketches, as well as an online gallery and scrapbooking community, can be found on their website at http://www.canadianscrapbooker.ca. The best incentive to tackle these sketches, is potentially being published in their magazine- should you submit your handiwork. (I strongly urge you to submit your work- I did, and I never thought in a million years I’d be published. I’ve been published twice, now. It CAN happen!) It’s strangely addicting…I want to be published more! Lastly, a magazine that I’ve bought in the past but don’t particularly care for (but you might love! 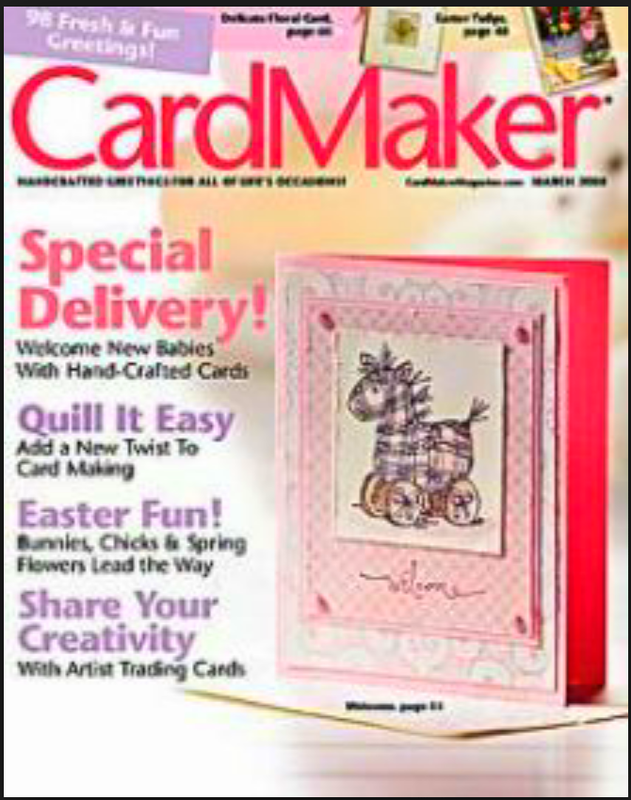 ), is Cardmaker magazine. 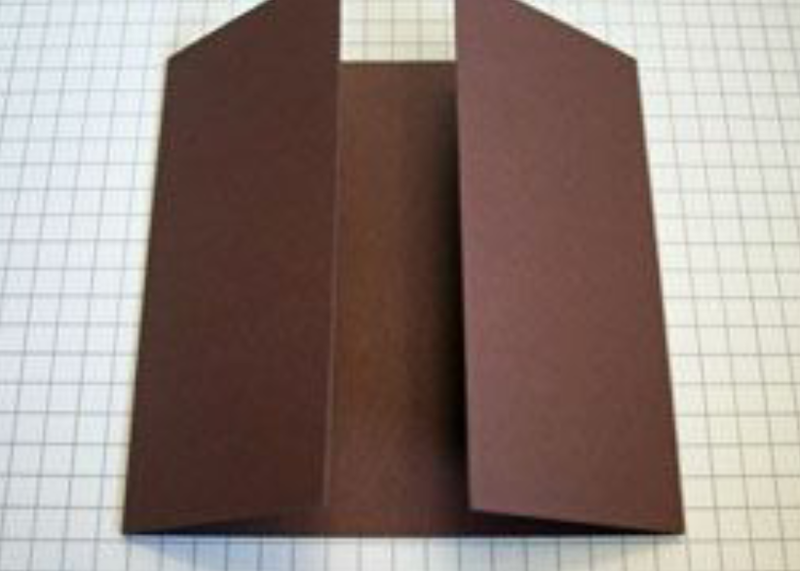 Each page explains, step by step, how to create the cards on it. Have I missed any? Do you have any favourite inspiration publications or idea books? 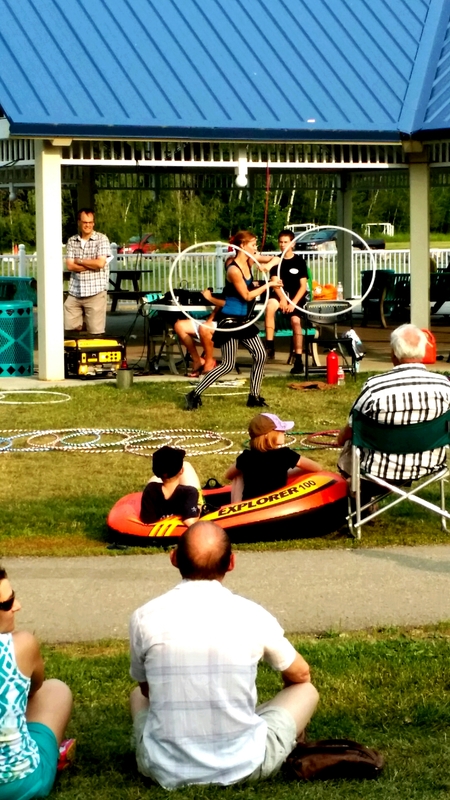 Here’s a few pictures from arts in the park tonight. Our next event is August 20 from 5 to 8 with a movie afterwards. Can’t wait! Hello, friends! 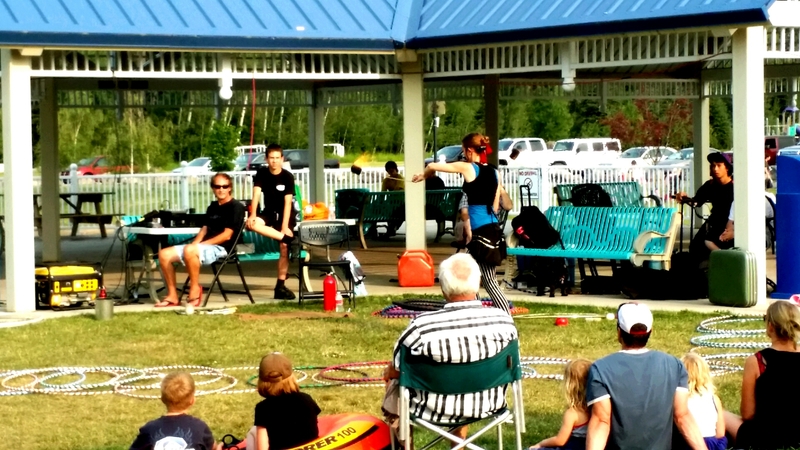 I just wanted to drop in and let you know that tomorrow between 5 p.m and 8, I’ll be down at Rotary Park for Arts in the Park. If you’re in and around Whitecourt, drop by for a Close to My Heart catalog, some discounted goodies, and maybe some refreshing Steeped Tea, care of a dear friend of mine. There’ll be other fabulous vendors too, but who they are is under wraps until the big event!